After school I got my teacher's license in Cosmetology. I owned my own Salons from 1993 to 2007. In 2007 our family moved to TX to work in the home office of one of the largest native missionary organizations (Gospel For Asia). In 2014 we moved to a different city in TX and I now own a salon again, my husband is a personal trainer. We had a ton of fun on the Tech bus and at Tech! I'll never forget getting sent to the office for laughing too much with Corina. Pamela Smith Zinszer has a birthday today. 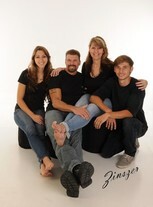 Pamela Smith Zinszer updated profile. View. Pamela Smith Zinszer changed profile picture.